Here at BestRide HQ, it was 35 degrees at 6:30 this morning. Last year, it snowed the day before Halloween. 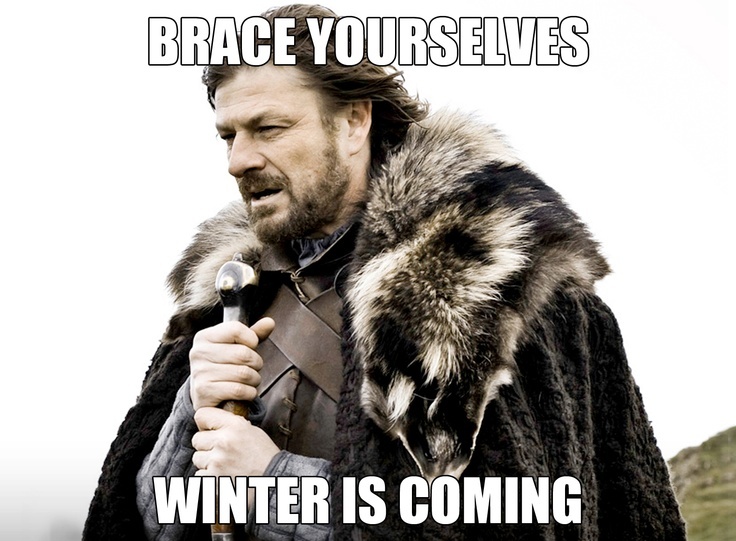 Whether we like it or not, winter is here, and unless you live in the lowest tenth of this country, winter weather can be a reality (We’re looking at you, Atlanta). Want to be prepared? Throw a Rubbermaid container in the trunk and load it with these seven essentials. Any old flashlight will do, but somewhere along the line, somebody gave me one of these, and it’s become a regular fixture in the console of my 1979 Chevrolet Blazer. 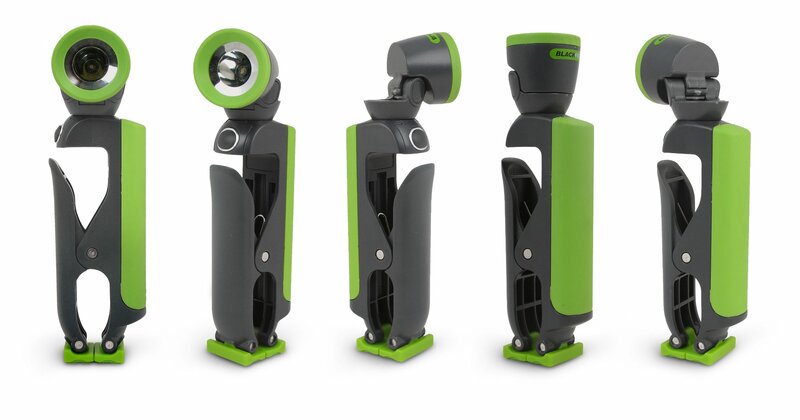 I like it because it’s light, it’s rugged — I’ve dropped it somewhere around 9,324 times — the LED lamp is super-bright and the clamp holds on to keep your hands free. About $13 wherever clampy green flashlights are sold. Booster packs are great, but they take up almost as much space as hauling around another battery. The JunoPower JUMPR is about the size of an iPhone and weighs in at just seven ounces (about twice as much as the iPhone.) It features a lithium polymer battery good fro 6,000mAh, which JunoPower says will start most four- and six-cylidner cars. It also features a 5V 2.1A output to charge your smartphone, cameras and tablets, and an LED flashlight. It’s available for $99 from the Juno Power website. 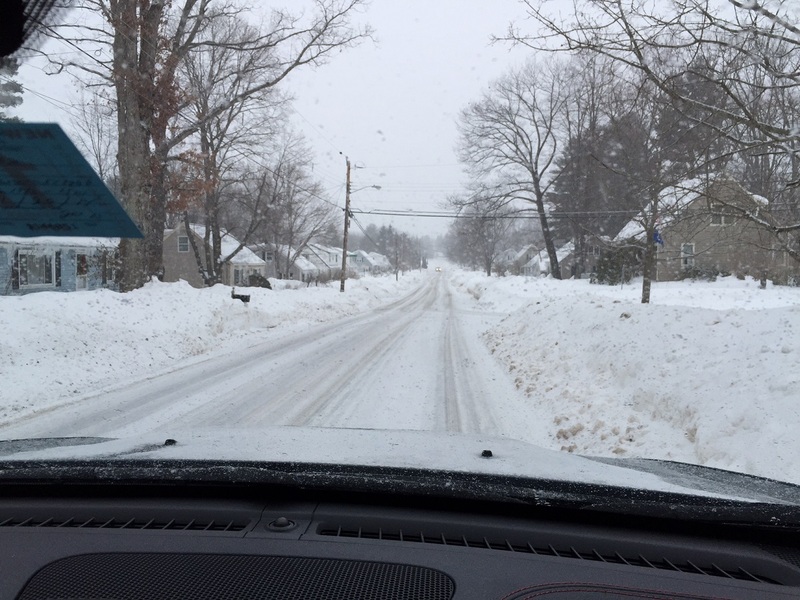 Tire chains will get even the worst performing winter cars to some kind of safety, but they’re a royal pain to install, they weigh a ton, and they take up a ton of space. 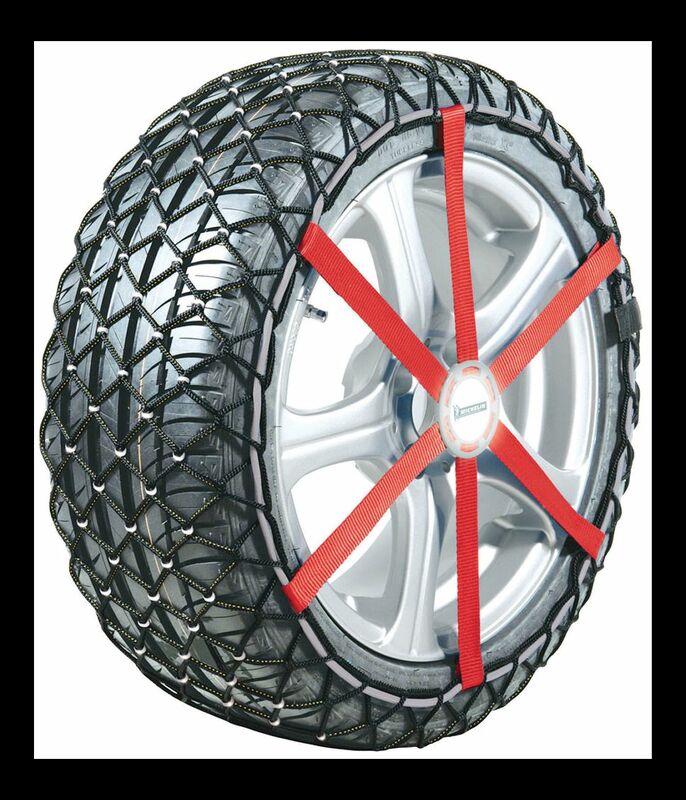 Michelin eliminates all those disadvantages with its Easy Grip snow chains, a network of elasticized mesh that wraps over a full set of tires in less that two minutes. Metal rings at every intersection of the mesh further enhance grip. About $120 a pair where the snow flies. Sometimes the tire chains just aren’t going to cut it, and you’ll need the help of a passing truck. Or, maybe that guy’s down in the ditch you you can haul HIM out. 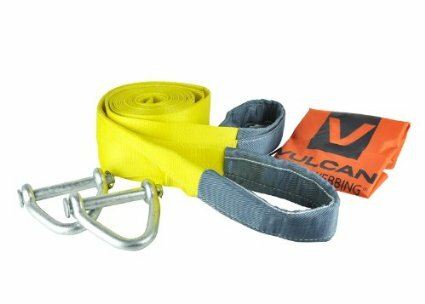 A decent tow strap rated to haul the weight of your car is key. This kit includes two heavy duty shackles which can attach to the tow hook you have somewhere under your bumper, or the eyelet that threads into your bumper. Cheap insurance at $39 from places where ditches are common. 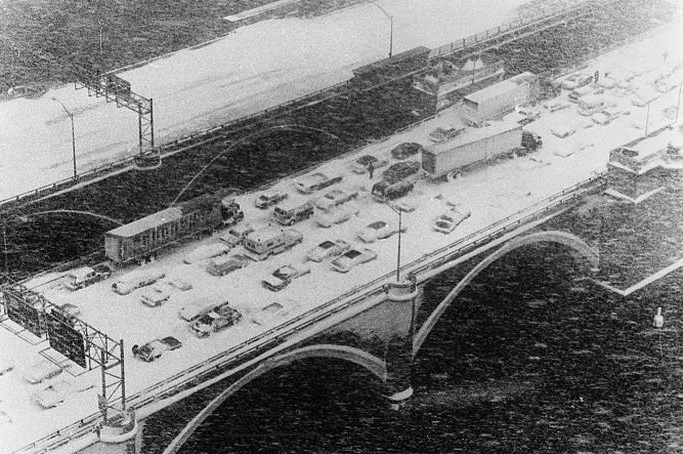 More and more states are making it an offense to drive around with a pile of snow on the roof of your Escalade, so that ice scraper you got from the Esso station in 1973 isn’t going to cut it anymore. 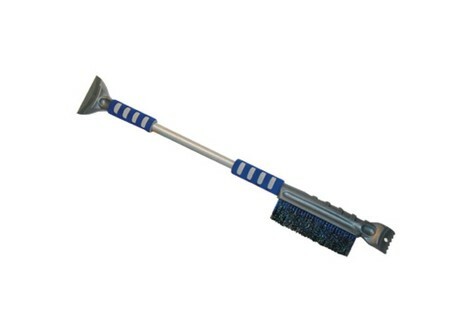 Don’t be taken in with extendable/foldable snow brushes. They’ll fail when you need them most. Stick with the Hoppy Ice Crusher, which is a great ice scraper mated with a long-reach snow brush for clearing the roof. $8.99 where the weather stinks. You can just scatter rock salt around these days. It’s bad for the water table, it destroys concrete and it’s not good for pets, either. 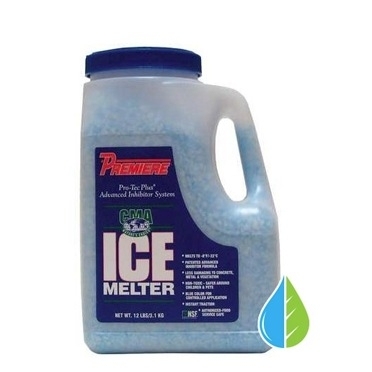 Premiere makes Calcium Magnesium Acetate (CMA), a fast-acting, long lasting ice melter that’s safe on concrete and asphalt sidewalks, won’t damage landscaping, soil, or vegetation. It’s also non-toxic, non-corrosive and readily biodegradable. You can stash this 12-lb. shaker jug in your trunk for $21.99 wherever vegan, cruelty-free, non-GMO, gluten-free ice-melting products are sold. Incendiary flares alert other drivers to use caution, but there are other ways to do that without having an open flame around. 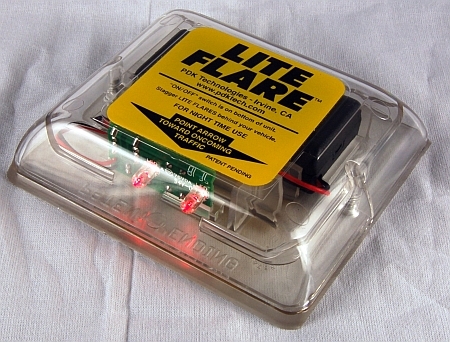 LiteFlare LED emergency lights are tough — the company says they can be run over by a Boeing 747 — and cheaper than conventional because they last up to 400 hours on just two AA batteries. They come in three- or six-packs of red or yellow for about $39 for a three-pack, sold where it’s dark and cold and snowy. Hypothermia is awful. 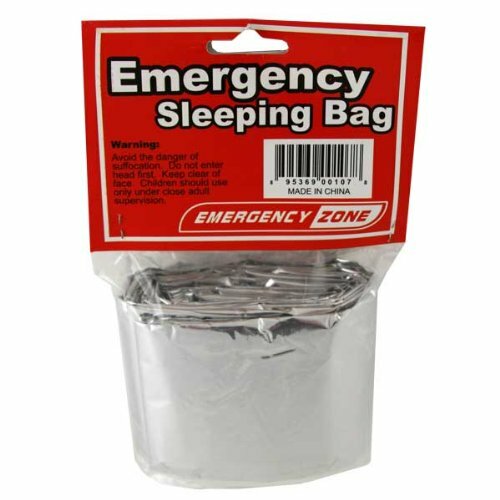 This lightweight, compact, inexpensive survival bag can be the difference between life and death if things really go badly for you some winter. The material it’s made out of reflects 80 percent of your radiant body heat, and it also protects you from the wind if you find yourself outside. 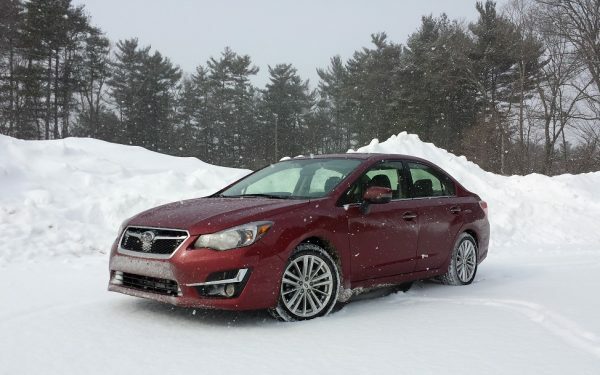 Just over six bucks in places where it’s better to stay put than drive around in the snow. The Juno Power Jumper is awesome. A few of our customers have tried it and said it has really come in handy when they needed it.